At SOLES, we're focused on building creative, adaptive approaches in the fields of education, leadership, therapy and counseling. Our state-of-the-art facilities and connected classroom technologies help faculty and students learn and innovate in their fields. Our current home is an 80,000 square foot building with wireless access throughout, a fully equipped auditorium, an executive training classroom, seven large classrooms, six seminar rooms, media resource centers and a variety of collaborative study areas for students. 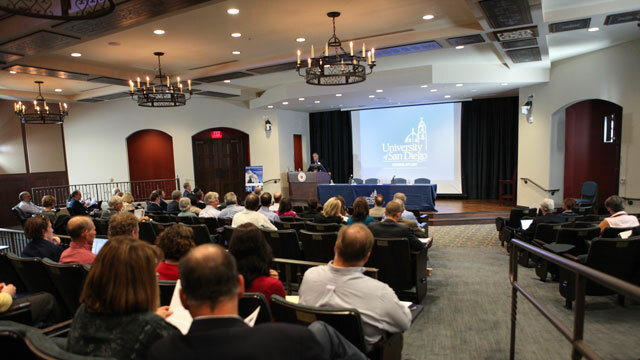 The Warren Auditorium seats up to 188 attendees and is fully equipped with SMART technologies, video conferencing and video recording capabilities. 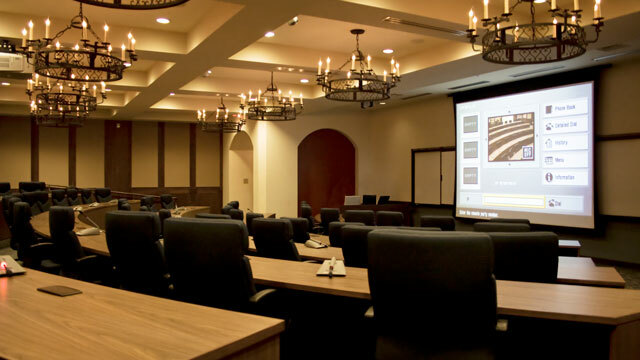 The executive training classroom features 60 executive-style chairs, web access, video conferencing, SMART technologies and an interactive console. 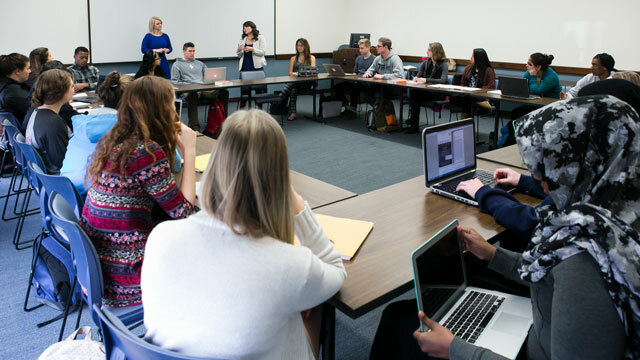 Each large classroom features level-three equipment — with the exception of the Hannon methods classroom. It's a level-four classroom with video conferencing. 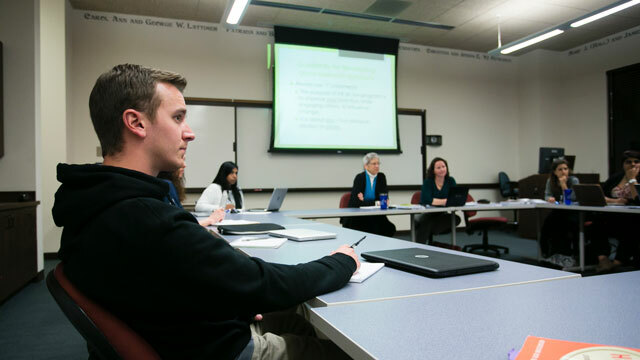 The smaller seminar rooms provide intimate settings for interactions between students, teachers and technology. Each seminar room features level-two equipment. Find out how to book your event and reserve a space online.